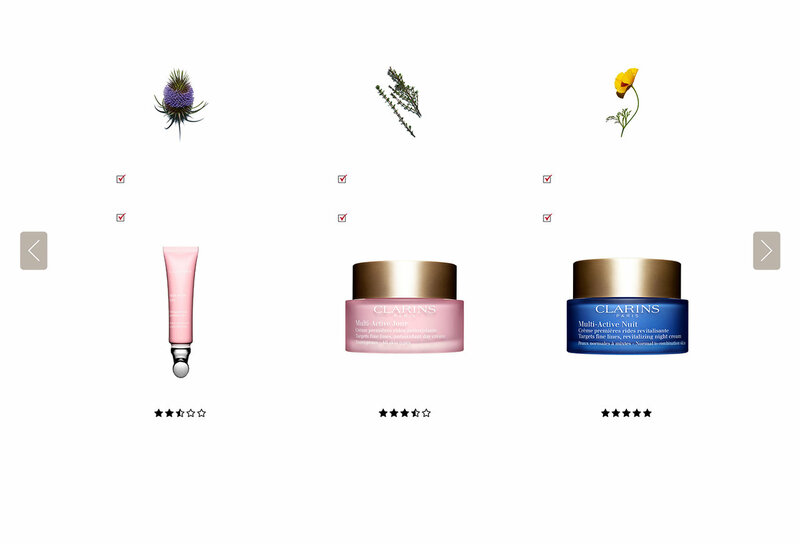 Whether you’re in your 30s and your skin is showing the early signs of skin-aging, in your 40s and your skin is losing some firmness, or you’re over 50 and your skin is showing deeper wrinkles, Clarins has the relevant skin care for your age. Powered by globally sourced natural plant ingredients, we are passionate about healthy and beautiful looking skin at every age. As the female hormone oestrogen, which promotes smooth and firm skin, starts to decline, skin-aging speeds up and the effects become more visible. To feel comfortable throughout the day and night, women with more mature skin need a continuous supply of moisture and a richer, emollient cream texture. The Super Restorative range restores the qualities of a more youthful looking skin by deep conditioning the skin with an innovative moisture management system. With a seductive, fresh fragrance of rose and jasmine, the high-potent formula intensively restores, replenishes and reactivates skin affected by aging. 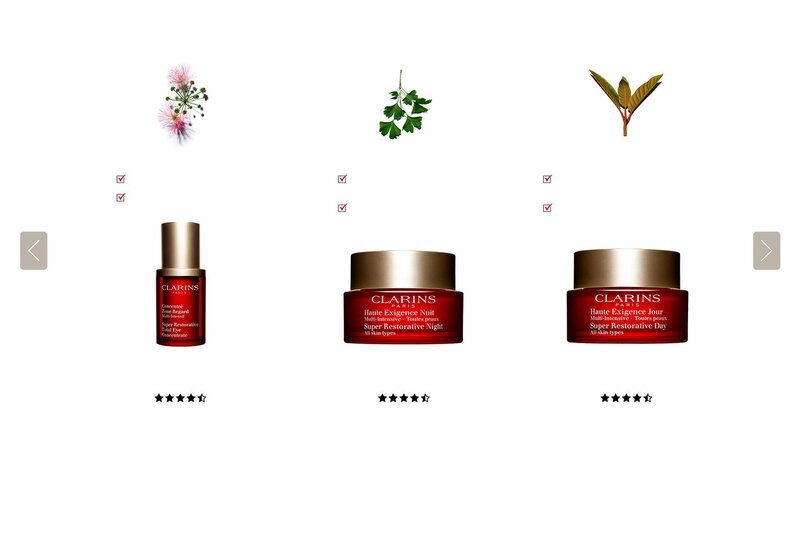 Clarins has pin-pointed these plant extracts which most effectively supplement the lower levels of hormones. Balance your aging process with Super Restorative, leaving your skin feeling nourished, supple, smooth and comforted. Protects the walls of blood vessels to promote firmness and radiance. Does your complexion look a bit dull? ​Restores a rosy glow to the complexion. ​​With anti free radical and soothing benefits, it also helps improve skin microcirculation. 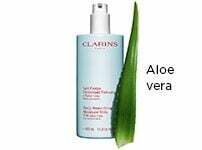 Restores, replenishes and replumps the skin throughout the day. 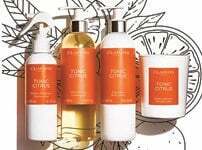 ​Helps to tone and redensify the skin, preventing further sagging. Stress, pollution, poor diet and lack of sleep are your skin's worst enemies because they are all responsible for the overproduction of free radicals. These damage the key cell responsible for youthful looking skin, the fibroblast, thereby causing the first signs of skin-aging including first lines, tiredness and fatigue on the skin. Whether your skin is showing some signs of late nights or sun damage, Multi-Active skin care range is packed with natural active ingredients to help your skin repair itself and keep up with a hectic lifestyle. Multi-Active skin care creams also boost collagen production by 89%, and decrease damage linked to oxidation by 96%. Adding these anti-aging essentials to your daily beauty routine can help repair and protect your skin, whilst delaying further signs of aging. Dark circles and puffiness around the eyes? 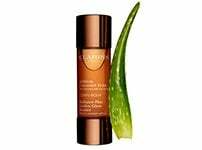 its continuous delivery of antioxidants protects the skin from free radical damage and loss of vitaliy. Present in all Multi-Active products, its energizing properties help combat signs of fatigue and stress. signs of a stressful lifestyle? Minimises the impact of daytime stress factors on the skin by hydration, improving the appearance of first lines. daily 8 hours of sleep? Helps to offset oxidative stress caused by late nights so you’ll wake up with more radiant skin by morning. Fibroblasts are the key cell responsible for youthful looking skin. 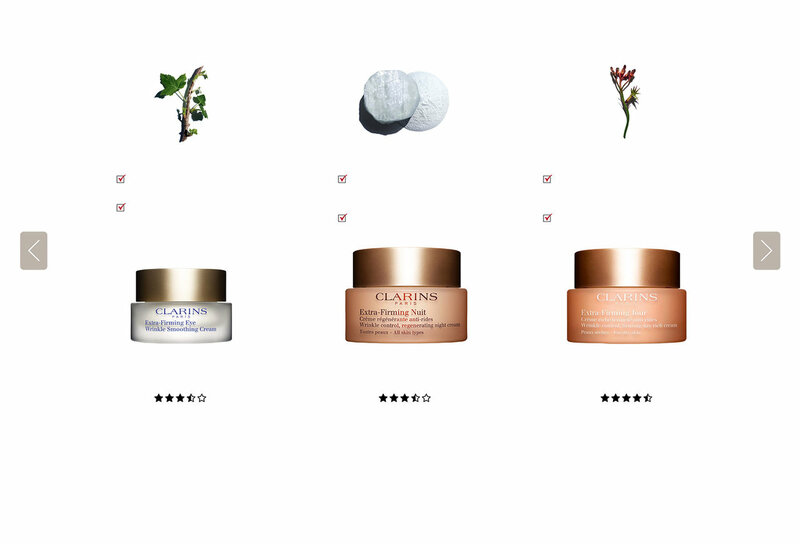 Clarins Research has discovered a reservoir of young skin cells that have powerful regenerating properties. Specific areas exist where fibroblasts are grouped together in a protective nest and where their regenerative potential is optimised. As we age, these reserves are depleted – and it shows. Skin loses its firmness, wrinkles begin to appear and facial contours become less defined. Our Extra-Firming anti-aging skin care range is packed with new plant ingredients that take firming to the next level of excellence, for smoother, more radiant skin. Take care of your skin and keep it looking fresh and fabulous for longer. Need a boost of radiance around the eye contour area? Nourishes and comforts thanks to its powerful antioxidant properties. Soothes and hydrates delicate skin, ideal for your eye contour area. Encourages night-time regeneration of the fibroblast cells to maintain the skin’s youthful qualities. 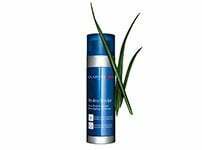 fibres to restore skin elasticity. A day cream to smoothen, tone and firm up your complexion? Ensures the normal function of fibroblasts which are crucial to maintaining the structure of the skin. Helps to keep the skin firm and smooth.